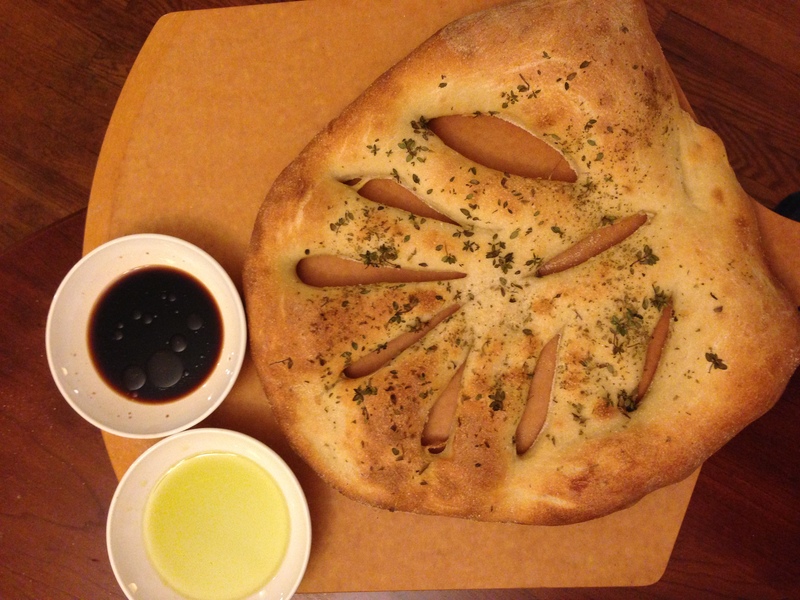 A sourdough Fougasse is a flatbread baked into the shape of a leaf. This one was stuffed with olives and sprinkled with oregano and thyme. We dipped into organic, Greek olive oil (thank you, Aldi’s) and balsamic vinegar while it was still warm from the oven. Full disclosure. The fougasse in this picture is the second one, the first having been consumed before a photo could even be taken. The rest of the meal was a venison stew and steamed chard direct from our local Amish farmer.